We are on a quest looking through old expansions for gold making opportunities at the moment. 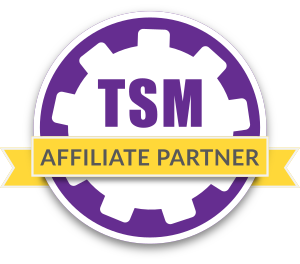 Today we will be doing a first dive into Warlords of Draenor Blacksmithing. Today the focus will be on the armor, weapons and the essences. I’ll only be focusing on the basic unupgraded version of the items. Warlords of Draenor was the first expansion where Blizzard added crafted gear that can be upgraded. The gear can be upgraded 6 times using special essence consumables that are specific to each profession. It even varies between items in a profession. The first 3 item level upgrades also give unique transmog looks. The optimal choice for people collecting transmog is to buy the base version and two essences to upgrade it twice after equipping. 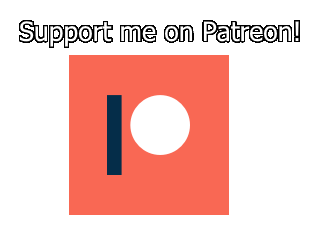 This will give access to all three variations. If they are less savvy or just want one of the versions they could buy them separately. Diving into crafting the higher stage gear is a bit more involved in terms of TSM setup, and quite a bit more risk so we will just focus on the base versions and selling the essences straight up. The worst part about this market is the fact that the main material is bind on pickup and based on a daily cooldown. The Truesteel Ingot can be crafted using the daily cooldown as well as the blacksmithing garrison building. There exists a recipe that can be used as many times as you want. Riddle of Truesteel uses the bind on pickup Primal Spirit to circumvent the daily cooldown. You can purchase primal spirits for materials from the various garrison traders. The problem with this approach is that it is quite hard to accurately value your spirits of harmony. You also need to wait around for the right trader to come, but this is really only an issue when starting out. 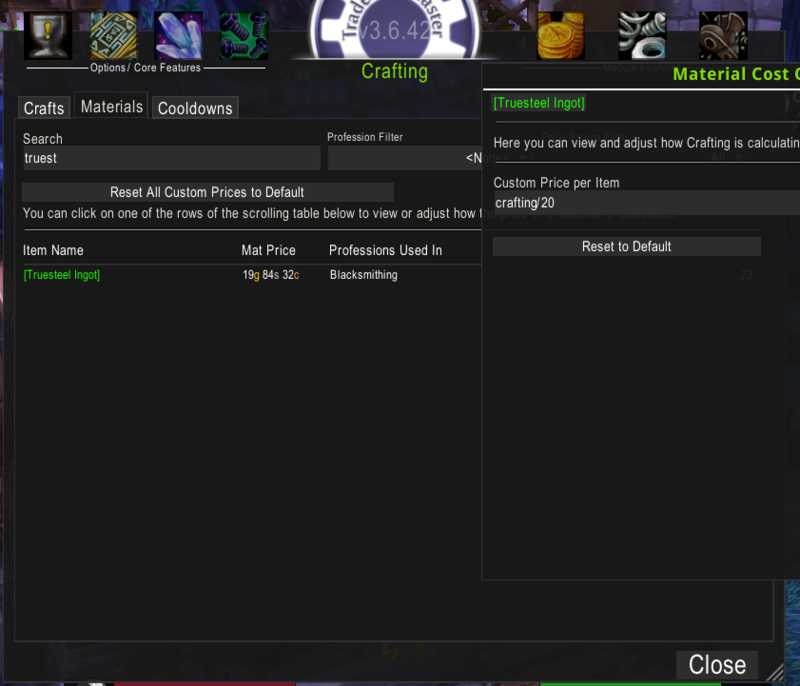 You will need to make some changes to your material prices in TSM to get the right crafting costs. This approach is by far the simplest to implement. You only use the daily cooldowns and the garrison building to generate really cheap materials. You can see my profit margins using this approach in the screenshot below. As you can tell profits are fairly high across the board. You won’t be able to sustain full coverage using only daily cooldowns, but the profit margins are very high. If you only use the daily cooldown you will be focusing on the weapons. These have higher sale rates than the armour pieces and larger profit margins. Focus on whichever weapon has the highest profit margin. I generally would not craft more than one of each at any given time however, as staying flexible with some ingots in reserve is very important. If you don’t have any of the recipes you will need to start doing the secrets of draenor blacksmithing daily cooldown. The recipes are sold by the blacksmith in your garrison blacksmithing building. All of the weapon and armor recipes take one secret each. You prioritize the order of recipe unlocks the same way you prioritize crafts. 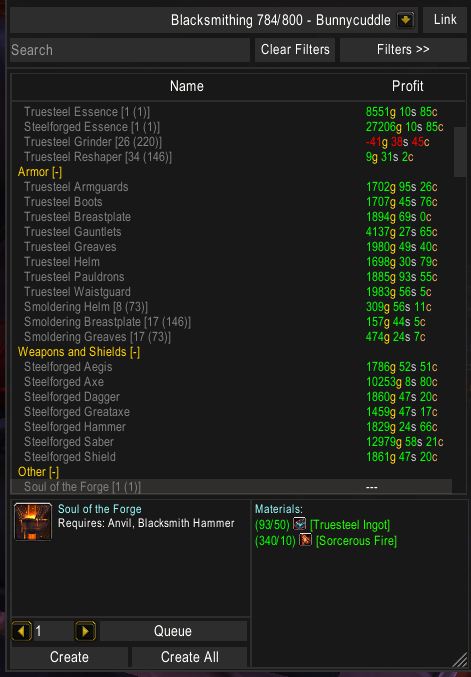 You can just search for “steelforged” on the AH to quickly figure out which weapon has the highest price point. I covered this in detail in my hexweave bag post, so I will refer you there. The only difference of course being that we want to get the level 3 blacksmithing building and a follower with the blacksmithing trait. One of the issues with the various warlords of Draenor material recipes is that TSM doesn’t give them the correct material price value. This is because the yields depend on your skill level. At skill level 700 blacksmithing you get 20 truesteel ingots from the daily cooldown. The simplest way to set the material price is to just write in crafting/20. Just head to the crafting/materials tab of TSM 3 to set this up. This approach will let you keep all the items in stock as you are not limited by the daily cooldown. Profit margins will be way slimmer though as the riddle of truesteel recipe is much less efficient than the daily cooldown and the work orders. This approach is also quite complicated to setup in TSM. The main reason for this is that you can buy primal spirits with a ton of different materials. If you go down this route you want to stock up on a large number of cheap draenor materials so you are ready to trade when the right trader is in your garrison. It’s generally advisable to keep a LARGE stockpile of Primal Spirits so you can craft continuously. You get the riddle of truesteel from the ore trader when he is in town. This website has a calender for the various traders. You might not encounter the trader in your garrison however, as it also shares a spawn with various quest givers. The traders are also the ones that will sell you primal spirits. So if you are looking to get started here you might need a bit of patience until the right trader rolls around so you can exchange your materials. If you are just using ores to buy primal spirits a simple approach to valuing your truesteel ingots is to use the average price of true iron ore and blackrock ore. You then just multiply by 15 which is the total amount of ore you need for the recipe including trading for the primal spirit. Divide by 2 to get the price per ingot as the recipe makes two ingots. This is just the base price though. You should experiment with a percentage term in front to figure out how much lower than dbmarket you need to go. If you change the formula and then re-open your blacksmithing pane the crafting cost gets recalculated and you can see if you are profitable. On my realm I found that I should be profitable if my average price is 80% of dbmarket. If you want to use other materials to purchase the primal spirits you will need to do quite a bit of work on the material price formula if you want an accurate price. There is a simpler approach though. You can just take the price of 5 each of the ores and add 5 times whatever the average gold price you paid for the mats you turned into primal spirits. This approach is a bit manual and needs to be updated regularly, but it’s not too hard to implement. If you are savvy you could implement a custom price source for primal spirits, but it depends heavily on exactly which materials you use to trade, so that will be for the more advanced users out there. I stocked the most profitable items on my realm about 3 weeks ago. I only crafted as many items as I had truesteel for. You can see that I have already gotten some very nice sales, including a dagger for 11.5k. That’s a massive profit margin over my 600 gold crafting cost. My TSM setup includes all the truesteel armour, the steelforged armor, the essences to upgrade those two as well as the crafted pet and the smoldering armor that only takes the regular ore. The setup includes a crafting operation for restocking one of each, shopping operations for the ore as well as auctioning operations for all of the items. It does not use any custom prices and should be plug and play after setting up the material price for truesteel ingots correctly. It only includes the basic version of the crafted gear, but this is still looking like a pretty good market so far. For those of you who want to go a bit further you can head into selling the upgraded items. You would need to make some form of custom price that includes the value of the essences, which is beyond the scope of this post. It’s already really long. About setting the correct material price.. Assuming you have the Riddle of Truesteel recipe, i find it’s better to set a custom price for the Primal Spirit and just “crafting” for the Ingot, that way you will get the correct Truesteel price based on that crafting method. The Daily Cooldown and Garrison Build will still generate cheaper Truesteel Ingot, but i belive it’s better to take it as bonus and don’t count as a source for the Ingot price. That would probably work as well. I don’t actually have the riddle of Truesteel recipe so I had to rely on the truesteel ingot value to test my approaches. Hope the ore trader shows up soon!